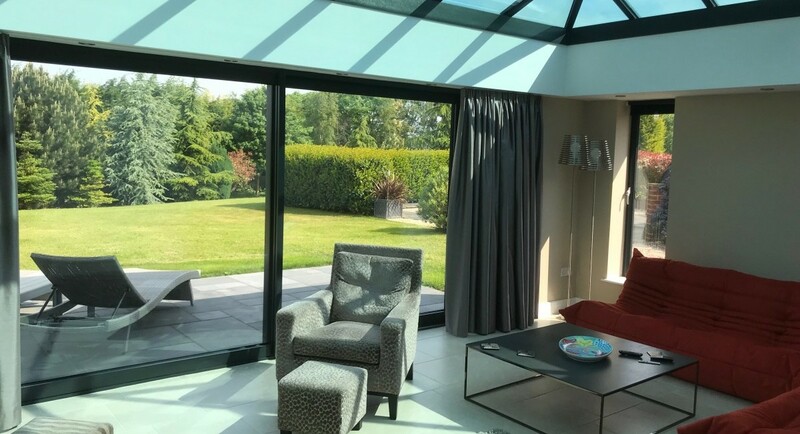 Just like a bifolding door, a well designed and functions sliding doors helps create stunning new spaces and extends your home. Sliding doors offer the largest glass sizes of any type of door. 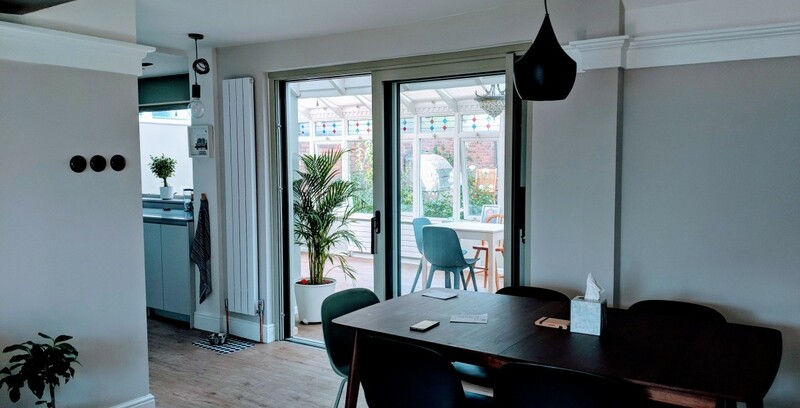 If you’re looking to maximise your views then a sliding door is ideal. Our range of traditional or contemporary sliding doors are also great if you’re limited on space. Perhaps you have a smaller room or garden and don’t want to lose space when swing or folding doors are open. For smaller homes or where space may be at a premium sliding doors are also ideal. You can also fit them on Juliet balconies or other areas leading to an outside space. Today’s modern sliding doors offer you far more than traditional patio doors in hardwood subframes. The range of doors now available comprise a whole range of features never seen before in sliding doors. Aluminium Sliding doors by Schuco. The Schuco sliding door shares all the advanced engineering, reputation and design features of the bifolding door. Schuco doors offer some of the most impressive specifications and features there are. It is the ultimate contemporary sliding door. Find out more about Schuco sliding doors. Rehau sliding doors offer a cheaper alternative to our aluminium sliding doors in top quality PVCu. They still offer the same advantages as our aluminium Schuco sliding doors of large glass panels, inline sliding and maximum door sizes. Our doors offer classic looks, a smooth sliding action as well as energy efficient profiles. Find out more about Rehau Sliding doors in PVCu . Contemporary or classic sliding doors from our local door experts. Basfords offer wide choice in sliding doors to complement any part of your home. Our doors meet the highest standards with a professional and expert installation by our trained installers.